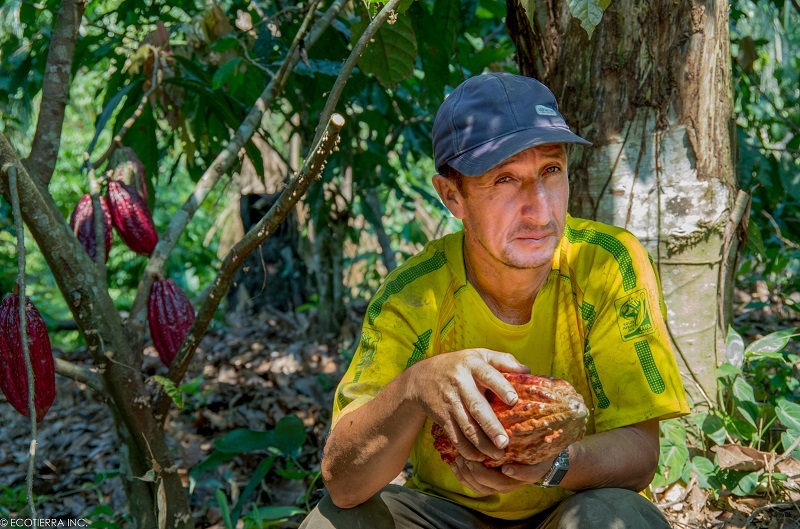 The Althelia Climate Fund’s $7 million investment in the Madre de Dios region of Peru aims to support 1,100 farmers on sustainable cocoa production and protect a biodiverse national reserve. It’s a marriage of avoided deforestation and sustainable commodity production that is projected to pay off in more ways than one. 9 April 2015 | Last November, a group of Dutch business leaders found themselves far away from their desks, standing damp but happy in the Peruvian rainforest. Representatives from development bank FMO, carpet maker Desso, and energy competitors Eneco and Essent were visiting the forest they’d paid to save. The trip brought them to a 570,000-hectare protected area spread across the Tambopata National Reserve and the Buhuaja-Sonene National Park in the Madre de Dios region, known as the “Biodiversity Capital” of Peru. It earns its nickname by providing critical habitat to threatened species such as the black caiman, harpy eagle, and giant otter. A recent government census puts the human population of Madre de Dios at just under 110,000 – more than 20 times what it was in the 1940s, when gold mining began to draw migrants from the South Andes. Though they are technically government-protected areas, the forest cover in Tambopata and Buhuaja-Sonene is dwindling, with an estimated 1,189 hectares lost every year. 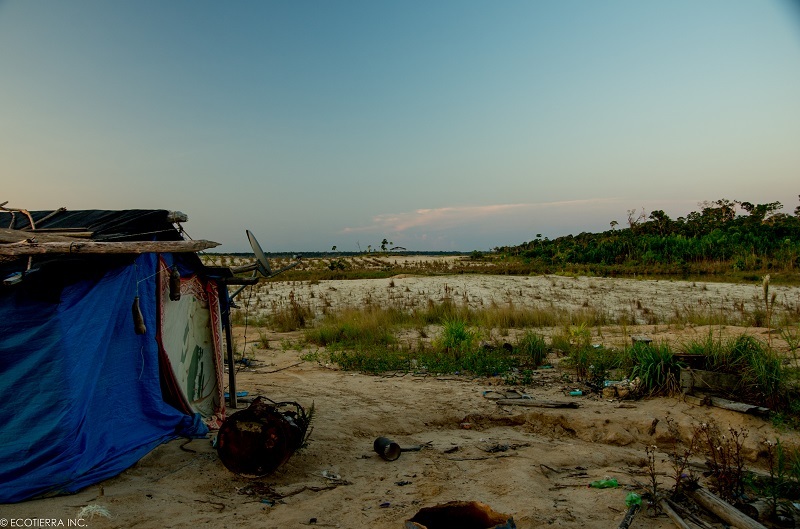 The construction of the South Interoceanic Highway, which started in 2006, has accelerated gold mining, wood extraction, and slash-and-burn agriculture. Migration to the region has also increased, with the city of Puerto Maldonado swelling. 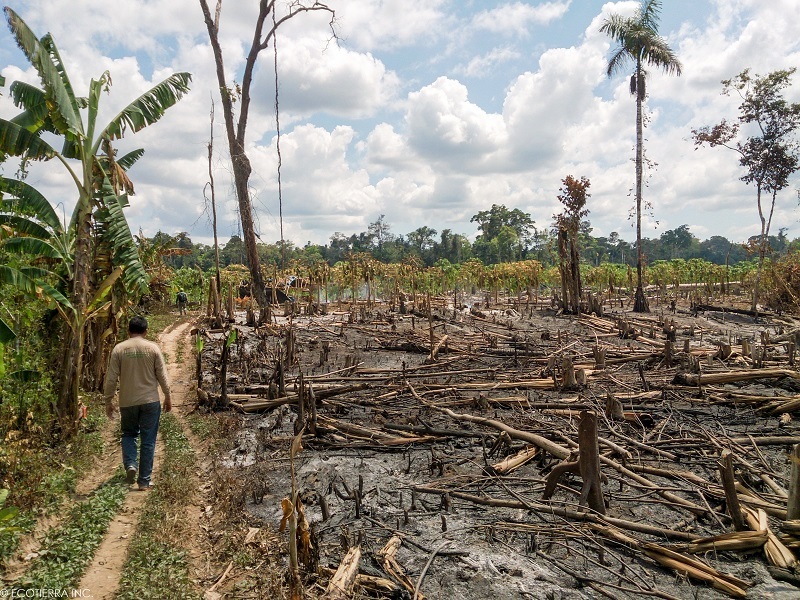 Meyrick’s company has invested in a program that might not make people rich, but will at least help them make ends meet while taking pressure off the valuable forest: the Tambopata REDD project. REDD stands for Reducing Emissions from Deforestation and Degradation of forests, and the Tambopata REDD project aims to spur economic activities that are based on the forest’s conservation rather than its destruction – activities such as cocoa production, chestnut harvesting, small-scale fish farming, and low-impact logging. The project took about three years to get off the ground. Project developers first had to identify which portion of the forest was in danger and calculate the deforestation that would occur with and without intervention. They created a detailed project design document that underwent an audit to ensure it met the requirements of the Verified Carbon Standard, the body that would eventually issue offsets, each representing a tonne of carbon dioxide kept out of the atmosphere (delineated as tCO2e). “Our goal is to avoid the deforestation of almost 12,000 hectares in both natural protected areas in the first 10 years of the project, and contribute to biodiversity conservation and socioeconomic development in the buffer zone,” said Paul Ramirez, the project manager. But generating the offsets is only the first step. Then they have to sell them. The market for REDD offsets is currently valued at around $100 million per year, according to Ecosystem Marketplace’s 2014 State of the Forest Carbon Markets report. Governments are currently negotiating how avoided deforestation might be including in an international climate change agreement, but until then the REDD market is entirely dependent on voluntary buyers. Though REDD offset sales are growing, prices are dropping, and last year project developers reported taking home less than 70% of the revenue they needed to keep projects afloat long-term. The Althelia Climate Fund had an idea: Why not use REDD offsets as collateral against loans but also design projects to produce deforestation-free products, therefore creating multiple revenue streams? 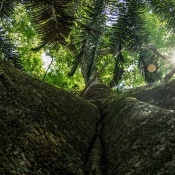 The Fund has raised more than 100 million euros to date from private investors and has attracted the attention of the US Agency for International Development, which last year announced it would guarantee Althelia up to $133.8 million to de-risk avoided deforestation projects. The Tambopata REDD project was first conceived in 2010, when Althelia was just an idea. Ramirez, then a business manager at the Peruvian sustainable development NGO Asociacií³n para la Investigacií³n y Desarrollo Integral (AIDER), met Christian del Valle and Sylvain Goupille on a scoping trip to Paris to meet with companies interested in carbon finance. At the time, del Valle was the Director of Environmental Markets and Forestry at the French bank BNP Paribas, while Goupille was BNP’s Head of Carbon Finance. A year later, the pair left BNP to start Althelia. Althelia’s first investment was in Wildlife Work’s Taita Hills project in Kenya. But soon after, Juan Carlos Gonzalez Aybar, who did a brief stint at AIDER before becoming Althelia’s Latin America Director, started advocating for the project in Peru. In September 2014, Althelia announced its $7 million investment in the Tambopata REDD project as part of a $12 million initiative. The Peru-U.S. debt swap fund “Fondo de las Americas” committed another $2 million in co-financing. 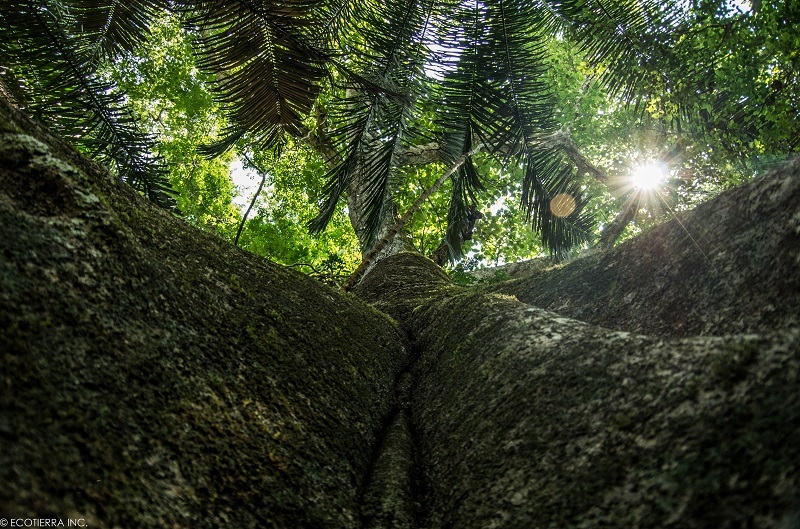 While dozens of avoided deforestation projects are currently being developed around the world, Tambopata is among a subset of REDD projects that explicitly builds sustainable commodities into its business model. SERNANP, the national protected areas authority of Peru, awarded AIDER a 20-year contract to manage Tambopata and Bahuaja-Sonene – an agreement that allows the non-profit to attract private investment for conservation. Through the REDD project, AIDER aims to work with 1,100 farmers in 19 villages around the buffer zone of the protected regions. These farmers practice migratory agriculture, moving from plot to plot over time and sometimes clearing sections of the Reserve. 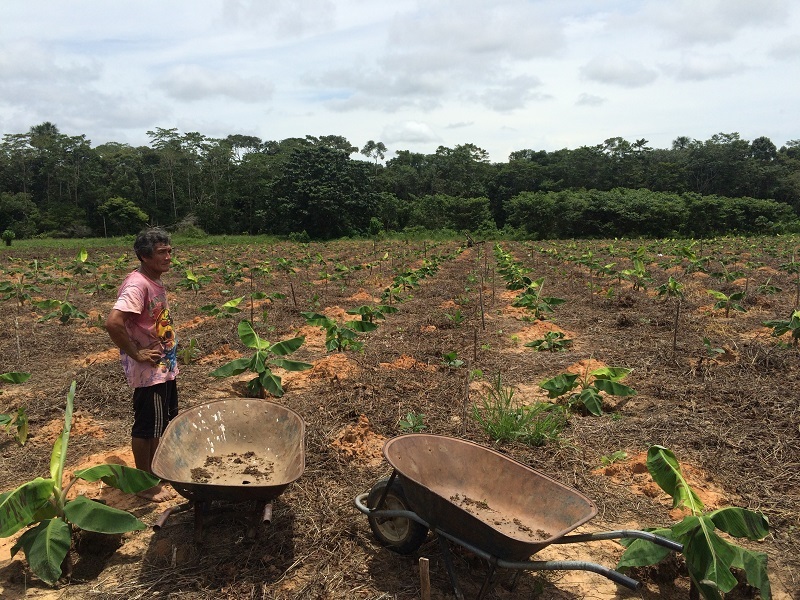 AIDER seeks to break this cycle by helping them intensify agricultural production on land outside of Tambopata and Bahuaja-Sonene, as well as by planting crops that are lucrative enough that farmers can earn a long-term livelihood from a finite land area. The NGO helped to form a farmer’s cooperative called Tambopata Candamo, founded in October 2014 with an original 21 members. The cooperative is focused on harvesting, processing and commercializing cocoa, with a goal of maintaining 4,000 hectares of fine aromatic cocoa trees. With AIDER’s help, they’ve invested in infrastructure such as warehouses, dryers and fermentation facilities, and trucks that will transport the processed product to market. 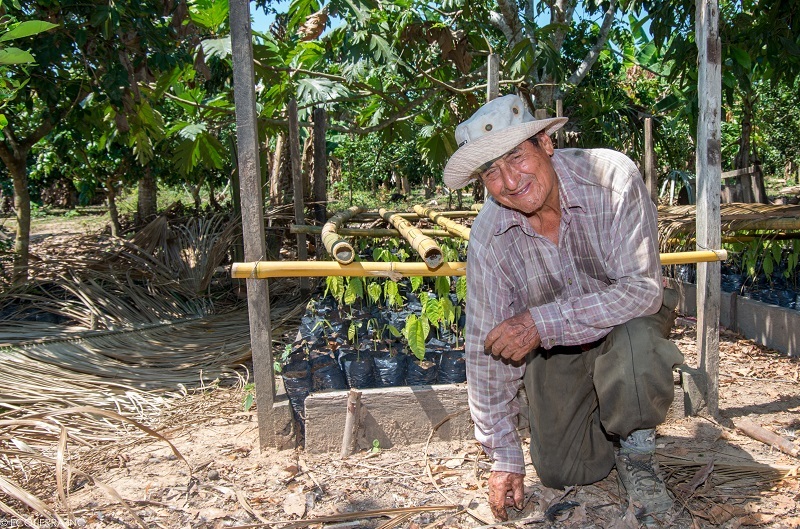 Between the chocolate trees, farmers will also plant other cash crops such as bananas and beans. AIDER is starting small, with a goal of planting just 300 hectares in this first year of the project – a proof of concept that they hope will convert skeptics. The biggest challenge so far has been communicating the concept of payment for performance to local farmers, according to Ramirez. Farmers receive financing “on the condition that they won’t deforest anymore and that a share of revenues will go to investors,” Ramirez explained. In exchange for that promise, the project will pay to get them up to speed for certification by Fairtrade, which ensures fair labor practices and establishes a floor price of $2,000 per tonne of cocoa. 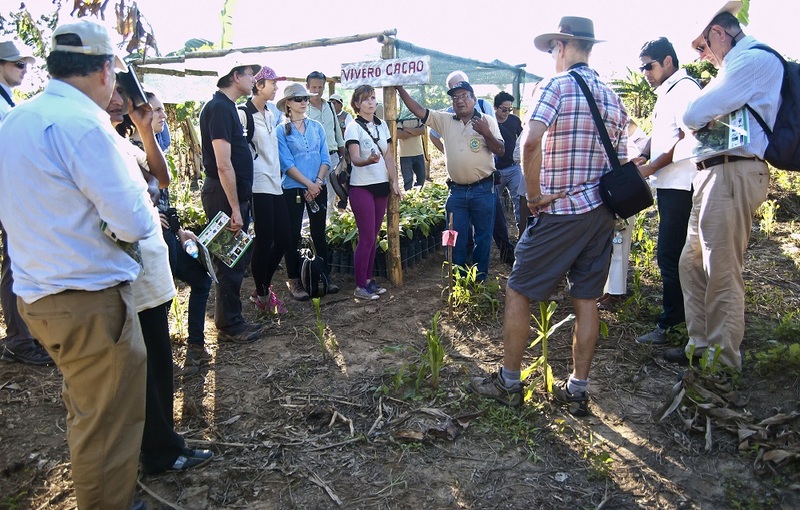 Ecotierra, a Canadian-Peruvian company, supports the cooperative with finding a “route to market” – helping overcome the most common barriers facing cocoa farmers in Peru. The real money, however, will come on the back-end. The cooperative will receive the majority of the revenues from what AIDER hopes will eventually be at least 3,200 tonnes of cocoa produced each year, certified as both organic and Fairtrade. AIDER expects farmers to earn a $500 premium over the market price because of their organic and Fairtrade certifications. Premium or not, though, the cocoa industry in Peru is booming. Exports reached $146 million in 2013 and were forecast to rise 20% by 2014, according to the USDA’s Food and Agricultural Service. If cocoa prices hold at 2014 levels of $3,100 per tonne and if the project achieves 3,200 tonnes of annual cocoa production, this would translate into estimated revenues of almost $10 million per year for the cooperative. The goal for the Tambopata project is to create a roughly equal split between the revenue streams from cocoa and carbon. But the project may lean more heavily on carbon sales in the beginning as the cooperative slowly expands its cocoa production and undergoes the organic and Fairtrade certification processes. Cocoa trees usually take three years to produce their first fruit and eight years to reach peak production. In the meantime, the revenue from the carbon offset sales begins to repay Althelia’s investors. The Tambopata REDD project has issued 108,335 offsets to date under the Verified Carbon Standard and is also validated under the Climate, Community and Biodiversity Standard. In addition to the Dutch companies that visited Tambopata last November, a Peruvian insurance company, Pací­fico Seguros, has also purchased offsets from the project, which is expected to avoid the emission of more than 4.5 million tCO2e by 2020. 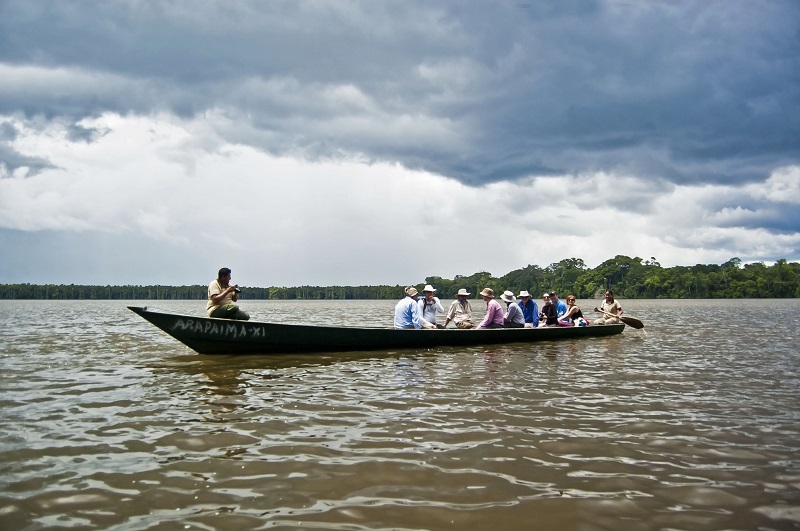 The trip to Madre de Dios left an impression on the representatives from the Dutch companies. Gonzalez Aybar admits that a company buying 100,000 carbon offsets “won’t change the world” – nor will it fully support the Tambopata project. But he sees carbon offset purchases as a gateway for companies to begin thinking more holistically about their supply chains and their impact on the environment. The Althelia Climate Fund is set to mature in 2021, at which point investors will be repaid and cocoa production is projected to be in full swing.